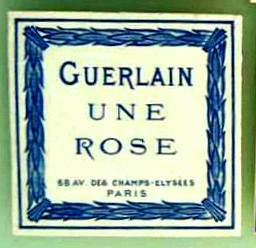 Une Rose: created in 1908 by Jacques Guerlain. So what does it smell like? It was a rose soliflore. 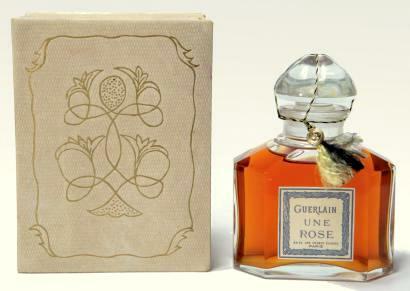 Presented in the quadrilobe flacon (parfum), the Capsule flacon, and the Amphore facon (parfum). 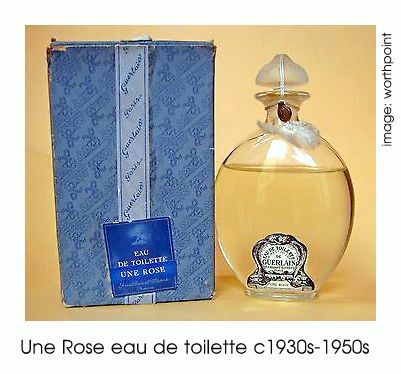 Discontinued, date unknown, still being sold in the1950s-1960s.